Los Angeles Rams Head Coach Sean McVay announced yesterday his stated intention to rest his starters for this weekend’s home game against the hated rival San Francisco 49ers, not even playing a series or two, so that they will be ready for the following week’s wildcard playoff game. By not playing his starters, this doesn’t mean that the Rams have thrown in the towel. Rather it’s signalling that it doesn’t matter to McVay whether the Rams are the 3 seed or the 4 seed for the NFC playoffs, and it’s not worth it to risk the health of their key starters. This is the first time in a long time where the shoe is on the other foot—the Niners are playing for pride, and the Rams having clinched the NFC West aren’t concerned with the outcome. What a difference a year makes. This game is still intriguing nonetheless. Rams fans will get to see backup QB Sean Mannion start as many believe he is one of the best backups in the game with lots of potential. The Rams will also get an opportunity to see whether replacement K Sam Ficken overcame his first game debacle or whether the Rams will be on the market for another kicker for the playoffs. Given these storylines, the Rams are facing a much improved Niners team. The improvement is directly linked to the acquisition of QB Jimmy Garoppolo from the New England Patriots. Since he’s been inserted into the lineup, the Niners are 4-0 and headed in the right direction. Given the Seattle Seahawks’ slide this year, the NFC West battle in 2018 just might be between the Niners and Rams, bringing back the good old days of the North vs. South rivalry with the Rams having the edge this time. Honesty is the best policy. Speaking honestly, Ram fans have to be concerned about the kicking game regarding field goals and extra points. For this game given that McVay is unconcerned about playoff seeding, the Rams should try field goals on their opponents’ 1⁄2 inch line and every time its 4th down inside the opponents 45-yard line. This will give the Rams plenty of opportunity to evaluate Ficken. If he makes them, the Rams will feel more confident heading in the wildcard weekend. Miss ‘em, and the Rams need to go searching again. Playing time is all that McVay wants from second-stringers at this point. These players haven’t played a lot during the season, and one may never know when you’re gonna get called upon for duty due to an injury to step up. So it’s good that the Rams have a chance to get players into a real game gaining valuable experience in the event they may be called upon in the playoffs. This game will be tough to garner a large television audience for viewing as there are so many other important games being played at the same time as the “who cares about seeding” meaningless Rams/Niners game is played. But for those of us going to the game, this will be fun. From the tailgaters, diehards and emotions that have been bottled up for 30 years, Los Angeles Rams will be high-fiving, shaking hands, hugging and just having a good ole time at the Coliseum prior to gametime. 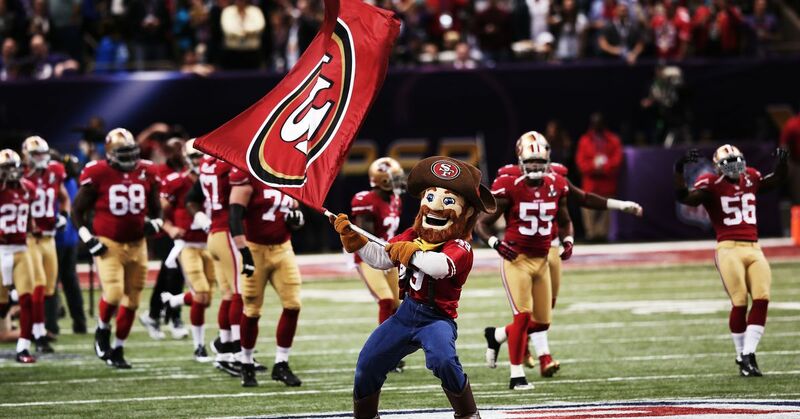 It will be even more fun given that the opponent is the San Francisco 49ers to remind Niner fans attending the game while respecting the rivalry that the Rams Own The West and their team is pulling up the rear for a change. It’s been a long time since Los Angeles Rams don’t have to worry about the game been played from their seats and watch the scoreboard to see the results of the big games being played elsewhere reminding ourselves this: WE DID IT! WE DID IT! Go Rams, the 2017 champions of the NFC West!